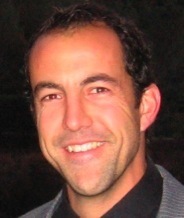 Dr. Josh Donaldson began his educational career at the University of Oregon where he obtained a B.S. in Sports Medicine and Biology. He then worked in the field of Physical Therapy and Fitness Training for several years before obtaining his doctorate (N.D.) from the National College of Naturopathic Medicine in Portland, OR. Following medical school, Dr. Donaldson completed a post-doctoral clinical research fellowship where he investigated nutritional implications of various diseases such as cancer, heart disease, diabetes and digestive disorders. Now in private practice, Dr. Donaldson incorporates a holistic approach with each of his patients by addressing the whole person and every aspect of their health. He practices general family medicine, but has specific interests in chronic pain disorders, sports medicine, mental/emotional disorders, healthy aging, diabetes/obesity, heart disease and gastro-intestinal conditions. His ultimate goal is to find the underlying cause of pain & dysfunction in the body for these and other areas of medicine, and then develop personalized treatment strategies accordingly. Attention is centered on reversing & preventing further dysfunction through patient education, the implementation of various therapeutic modalities and appropriate dietary & lifestyle modifications to help guide his patients towards optimal and lasting wellness. In addition, Dr. Donaldson has a passion for education and has been an Adjunct Professor at Cabrillo College and the Five Branches Institute of Traditional Chinese Medicine in Santa Cruz, California since 2006. He also gives community lectures on various health topics, offers Corporate Wellness Programs throughout the West Coast and leads Detox & Cleansing Retreats in Mexico & Hawaii. Dr. Donaldson incorporates all of the principles of naturopathic medicine along with a personalized treatment plan for each patient specific to their needs. He also educates his patients on how to take a more active role of their own health & their lives. In addition, he will gladly work with your conventional medical doctor and other alternative health practitioners to provide you with the most effective & comprehensive approach to all of your health. Dr. Donaldson views optimal health & wellness as a three-legged stool: one leg represents the chemistry of the body, which relies on a healthy diet and digestion for nutrients & strength; the second represents the physical structure & function of the body; and the third symbolizes emotional, mental and spiritual health. The seat is the influence of the heredity over the whole person. Just as the stool can’t balance if one leg is broken, a person can’t be healthy if one aspect of their health is affected. This is why Dr. Donaldson will treat every aspect of the individual when addressing bodily dysfunction which may appear to the conventional practitioner to affect only one.